Daleville...Betty L (Harney) Levell, 93, resident of Daleville, passed away at her home on Friday morning. She was born in Anderson, July 18, 1925, the daughter of Orville and Lena Harney, one of nine children. 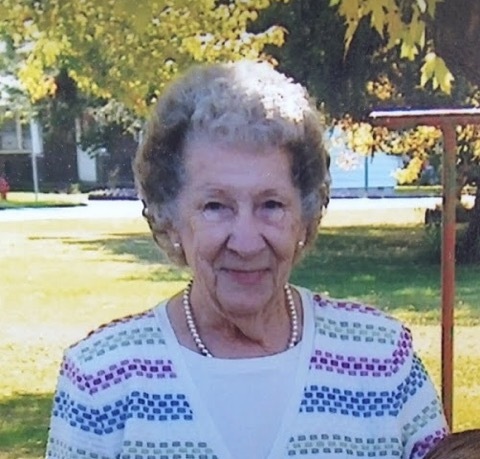 She had lived in the Daleville community for over 70 years. She is survived by a daughter: Phyllis Marsh of Anderson, 4 grandchildren: Todd Marsh (Sissy) of Eaton, Bob Levell of Anderson, Terry Levell of Daleville and Penny Hester (Brad) of Anderson, 8 grandchildren, 3 great grandchildren. She was preceded in death by her parents, her husband: Emmo, and children: Billy, Clifford and John .as well as several brothers and sisters and a grandson: Billy, Jr.
Services will be held on Wednesday, January 23, 2019 at 2:00 PM at Ballard and Sons Funeral Home, 8212 South Walnut Street, Daleville with pastor Marty Ballard of the Yorktown Church of the Nazarene officiating. Burial will follow at Saunders Cemetery in Daleville. Friends may call on Wednesday from 11-2 at the funeral home.